Happy Friday! 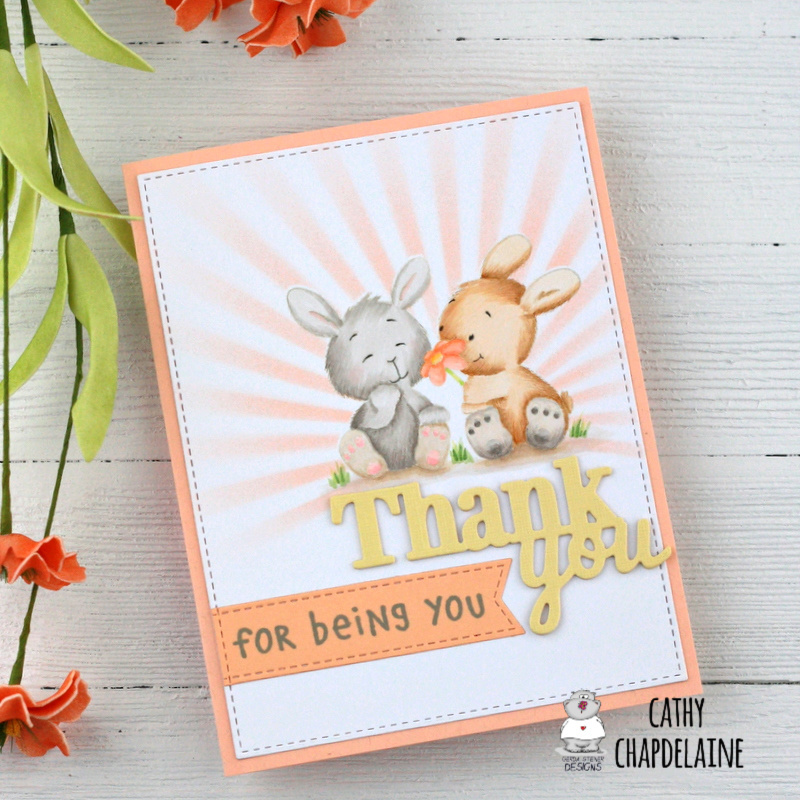 Cathy here sharing a little Spring sunshine on this 1st day of March using these adorable little bunnies from the new Bunny Friends stamp set now available. I just fell in love with this stamp the minute I saw it. I immediately thought of coloring them with a very soft look so I went with no-line Copic coloring to help achieve this. 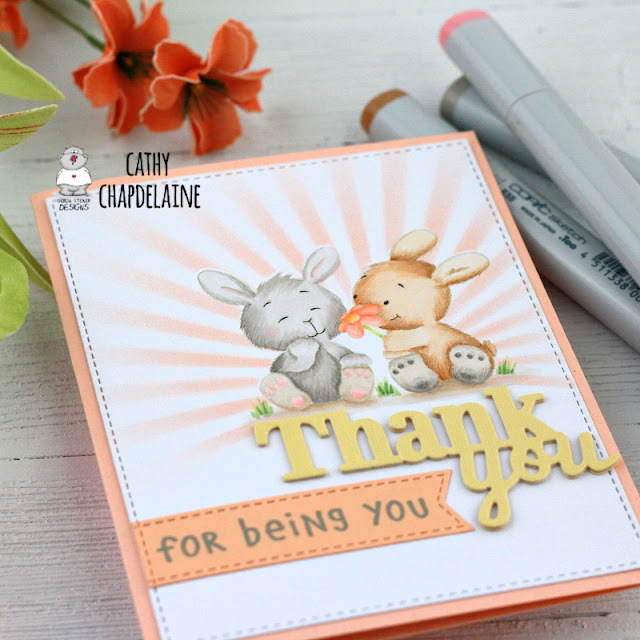 I stamped the bunnies in a light gray Copic friendly ink and then masked them before Copic airbrushing a radiating rays stencil with YR61. I love big bold die-cut fonts and this Spellbinders "thank you" phrase really jumped out at me as a good match to the bunny scene and the Gerda Steiner sentiment stamp in this set. I die-cut the phrase 3 times from cardstock and layered them together for extra dimension. Hope everyone has a great weekend full of sunshine and happiness!